Are you frustrated by low add-to-cart rates? If the answer is a resounding, “Yes!” then you’re not alone. Research shows that ecommerce “add-to-basket” rates hover around 10% of all site traffic. At Growcode, we’ve found that figure to be slightly lower, usually around the 5% to 7% mark. Those might seem like reasonable numbers. But when you also consider that 43.8% of sessions include a product page view, there’s clearly room for improvement. There are a handful of common ecommerce development mistakes that can seriously dent product page conversions. Ensuring you avoid them, even if you don’t have a fully-fledged conversion optimization strategy, will likely immediately boost your add-to-cart conversions. And while many of the tips may seem simple, we’ve found they can often have a significant effect on results. Let’s dive in. Why users don’t add products to the shopping cart? Have you ever clicked on an eye-catching, enticing ad, Facebook post or email offer only to end up on a page that looks completely unrelated? If you have, then you know the frustration that comes from mismatched ads and landing pages. Do your advertisements link up seamlessly with your landing pages? This includes design elements as well as making sure advertised products in your ads link to the appropriate product pages. Are promotions offered in ads accessible from product pages? If you mention a promotion or discount in an ad, is it obvious that it applies to the products on the ecommerce landing page? Do you include unnecessary sign-up fields? If you require new visitors to open an account with you, ask for details after they’ve taken a look at your products. 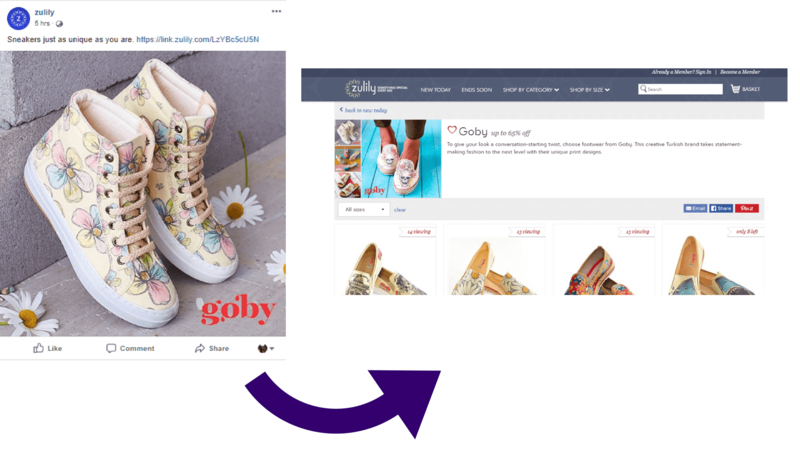 Zulily advertises a pair of Goby shoes on their Facebook page. After clicking through, however, visitors are taken to a category page without a link to the product advertised. It would be far better to link directly to the product page and include a link to the category page. Urgency building is one of the most effective ways to increase add-to-cart conversions on your product pages. We believe in the strategy so much we published an in-depth post about product page urgency. An indication of limited stock levels. Countdown timers for promotions and free shipping. Highlighting the number of special edition products available if the range is limited. Time-limited bonuses for new customers. On Booking.com, visitors are alerted to recent purchases and notified about the number of people viewing a product page. Both these features build a sense of scarcity. Research shows that online shoppers are growing increasingly distrustful of brands. While this sounds like bad news for ecommerce retailers on the surface, there’s also an opportunity. By including trust-building elements on your product pages (and on mobile product detail pages) and your site-wide store areas (like headers and sidebars), you’ll give yourself a key advantage over your competitors. You should know how to dispel fears, uncertainties and doubts on product pages. Product review summaries and star ratings – Provide “meta” information about reviews at the top of the page. Something like a star rating with a link to more in-depth reviews always works well. Testimonials – Also include a section of more in-depth customer reviews below the main product images and description. Security seals – Customers are often mistrustful of new brands. Including security seals can help mitigate this distrust. Display the age of your business – There’s a reason that old companies like to show off their age! Consider adding a “Founded in…” caption to your branding. Show how many orders you have shipped – Showing the number of orders you have sold or shipped for a particular product is a great way of highlighting its popularity. Walmart includes an average star rating and a link to in-depth reviews at the top of the page, just underneath the title. Cluttered product pages are one of the biggest add-to-cart conversion killers in the game (as well as cluttered shopping cart design). 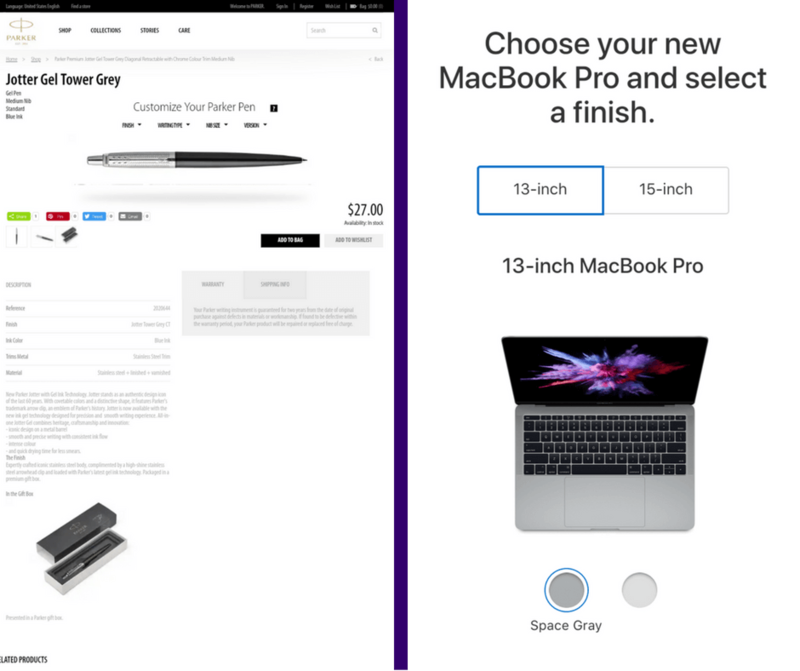 Your product page should meet one of two goals: get a visitor to add a product to their shopping cart or take them to another product page if they’re not interested. Anything else and you’ve failed. Do you advertise more than a handful of related products? It’s important to advertise related products, but it’s also easy to overdo it. You don’t want visitors to be so distracted that they’re drawn away from the main item. Is navigation minimized on mobile? Space on a mobile screen is at a premium. Navigation needs to visible, but minimizing it will ensure the product remains center-stage. Is there one clear call to action? When it comes to your CTA, you almost never offer multiple choices. Do you have a single, visible, obvious add-to-cart CTA? Cotton On offers related product suggestions in one dedicated area and at the bottom of the page. Your CTA is one of the most important elements of your product page. If it’s not clear, easy-to-click and attention-grabbing, then you need to make some changes. Pronto. The web is full of case-studies claiming huge increases in conversions with a few simple tweaks to CTAs. And while these examples are the rarity, little modifications like a color change can have a significant impact. Is your CTA button clearly visible in a contrasting color? Your CTA button should be a different color compared to the rest of the page. Is it above the fold? Don’t make customers scroll down to take action. Is your CTA an imperative command? An “imperative” sentence is one that “orders” somebody to do something and includes a verb. “Add to cart” or “Buy now!” are examples. Is the CTA located next to the price? Does your CTA span the whole page on mobile devices? Customers should be able to click with both their left and right thumb. 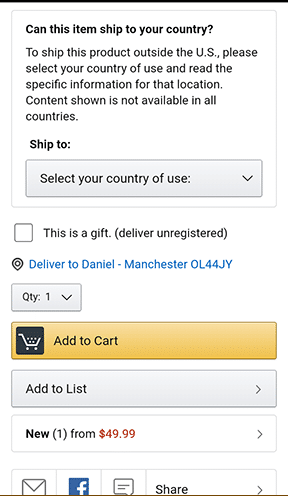 Amazon’s CTA on mobile is the full width of the page, in a contrasting color and the text is imperative. It’s almost impossible to understate the importance of product page copy, which encompasses your headlines, descriptions and images. If you have poor copy – low-quality images, boring headlines, and descriptions with missing information – you’re shooting yourself in the foot before you’ve even begun the race. Is your headline specific and clear? Does it include the brand name and specific product type? Do your descriptions include relevant information like available sizes, colors, model size etc.? Do you include additional technical information for relevant products like industrial equipment and materials? Can images be rotated to show products from 360 degrees? Are you able to enlarge photographs? 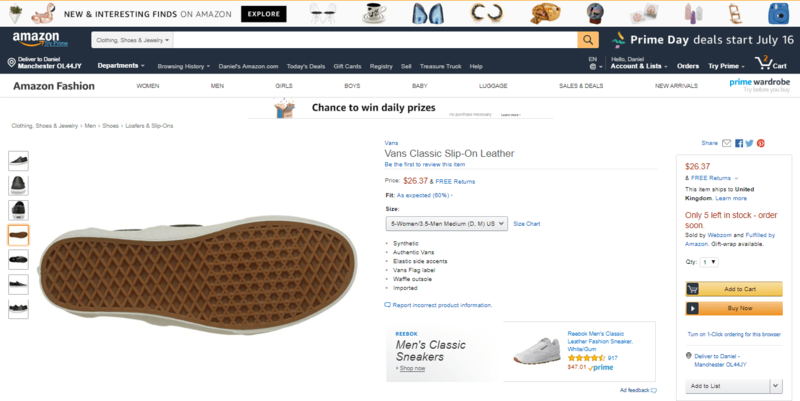 Do you include detailed images of important product features, like the soles of shoes? If you find that some products are underperforming in terms of add-to-cart conversion rates, try uploading higher-quality or different photos. It can work wonders! Amazon has mastered the copy game. Note how the headline, images and product description are informative but don’t include any superfluous details. The images are high-resolution and can be enlarged to examine specific features. Slow-loading pages are among the biggest conversion killers in the game! They’re also the most unnecessary. In most cases, the job of modifying slow-loading pages is quick and easy. There are a handful of tweaks – including compressing images, eliminating redirects and opting for dedicated hosting – that a developer should be able to implement immediately. Use Google to test your page speed to gauge whether or not you have a problem. It’s also important to remember that page-speed has ramifications beyond conversions, particularly when it comes to search engine rankings. This one is a low-hanging fruit, so if you do have issues get in touch with your developer straight away. Kohl’s has a good, but not brilliant, page speed result. Google also recommends changes that can be implemented to make improvements. If you’re running promotions, or if you offer sweeteners like free shipping, include that information on your product pages. Many of your site’s visitors will land directly on product pages, not having seen advertisements about promotions in other areas of your site. Including information about sales and offers also has the added benefit of building urgency. Are sale items clearly marked? Are sale items clearly labelled with the discounted price and a notification about their inclusion in the sale, preferably with a time limit? Is there free shipping? If you offer free or discounted shipping, is it clearly mentioned? Do you offer extra incentives for first-time visitors? Do you include offers and discounts for first-time buyers on your product page? Notice how Forever 21 makes it clear that the product above is part of a “Final Sale”, qualifies for 10% off and will be shipped free of charge if it’s part of a purchase over $50. 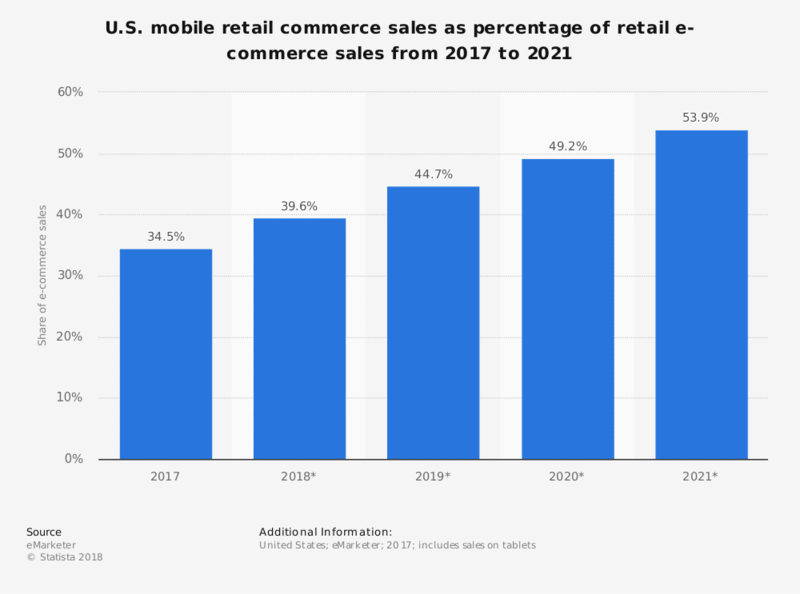 According to Statista, mobile will account for 53.9% of all ecommerce sales by 2021. Mobile is a huge ecommerce channel and you could be leaving a hefty chunk of sales on the table with poorly-designed mobile pages. Most websites nowadays are automatically mobile responsive. If you use a popular platform like BigCommerce or WooCommerce, that functionality is built in. But well-designed mobile responsive sites are a different matter. Full-width CTA that’s clickable with both hands. Simplified header and nav bar that vanishes when scrolling. Indication of multiple payment options (like Google Wallet and PayPal) with icons. Compare the Apple mobile site to the one designed by Parker. One is minimal, clear and enticing while the other isn’t even designed to be mobile responsive! Some parting advice: Test, test and test again! The mistakes above are the ones we’ve encountered most often, after having worked with hundreds of online retailers. Ensuring you avoid them will likely lead to an immediate increase in add-to-cart conversions and sales. But it’s worth emphasizing that the real key to boosting conversion rates over the long-term is testing. While all of the tweaks outlined here are very useful, they’re no substitute for a comprehensive optimization campaign. And the best approach to product page optimization (and overall ecommerce optimization) is one that involves making constant and consistent changes and that’s based on testing and re-testing. So, time to go and see your developer. 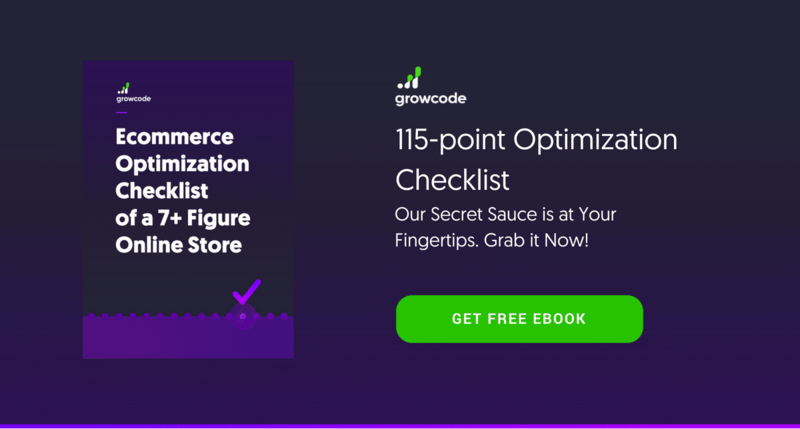 Download the ecommerce Optimization Checklist of a 7+ Figure Online Store!